WANTED- Energetic, young couple for a demanding assignment. Must have boundless reserves for patience, stamina, and optimism. Must be able to function reasonably well on three hours sleep, diagnose childhood ailments, and read the same book 27 times without appearing bored. 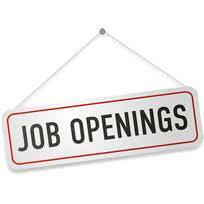 Must together be skilled as a nurse, counselor, teacher, and taxi driver. Full-time position. No paid vacations. Salary not commensurate with experience. Those applying will be screened to determine their sanity. If case you haven’t guessed yet, the “Position Available” is for parents. And what greater challenge for us as parents is there than to communicate God’s timeless truth to our kids? The key is not for us to lecture or give our kids good books to read, but rather take advantage of teachable moments. The daily classroom of life such as mealtime, playtime, and bedtime are the best moments to teach our kids. But to teach our kids, we have to be teachable ourselves. I read a quote this week, “Train up a child in the way he should go - and go there yourself once in a while.” As Gary Thomas explains in his excellent book, “Sacred Parenting,” much of parenting is about changing us as parents first, and then changing our kids. And what we have, as parents, is a difficult yet amazing job description that cleanses and re-cleanses both our kids and ourselves. It’s not unlike marriage, where only an amazing God could pull off all that He intended in refining and completing both husband and wife. He completes both man and woman, if they’re willing to submit to His plan. The same is true in parenting. Yes, the job description is tough and difficult, if not impossible. But He promises to supply all the strength and grace necessary to do the job and do it well. Like my good friend, Tim Scheuer, says, “God never supplies death bed grace on a sunny day.” In other words, He gives all the strength necessary to complete a task that He initiates or designs. And God definitely designed the concept of family. He invented the idea of a mom and dad having kids. It only makes sense that to be the best at the job called parenting, we would need the help of the Master planner- God. Solo parenting never works very well. Like Steve Jobs with computers or Henry Ford with cars, calling on the designer of parenting only makes sense. So, whether you’ve already accepted the job of parenting or you’re considering the offer, know that there’s no greater opportunity to be used by the Lord in true discipleship. It’s an awesome responsibility, but a job that God will honor and support. And a job with unlimited benefits. Okay, here’s another car mechanic tip: have your tires rotated regularly. Mechanics know that the front tires wear at a faster pace than the rear tires since they actually swivel when the vehicle is turning and encounter greater stress being in the front. 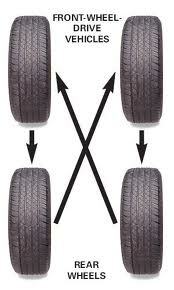 So, to get maximum life out of a set of 4 tires, tires should be rotated every 5,000 miles. Last week I took my car to have the tires rotated. As I waited, a thought occurred to me. In this age of super technology and major technological advancement, tire rotating has not changed. Radials are rotated differently, but I guess we’re still rotating tires today like they did when tires were invented. So it goes with so many maintenance issues. Cleaning a filter on an air conditioner, flossing teeth, sharpening a lawn mower blade and many more examples, all involve simple maintenance. There is nothing fancy or clever or electronic about it. Most maintenance items are like that- boring but necessary. Maintaining important relationships is a lot like rotating tires. Any healthy relationship is going to have conflict. The key to getting through that conflict is doing the day-to-day loving maintenance to keep the relationship focused and fresh. Our kids model the maintenance (or lack thereof) that they see in us. Sometimes I try to help couples that are struggling in their marriages. Unfortunately, some of the couples choose to split up. Of course, that decision wasn’t made overnight. They say, “Our relationship grew apart.” Of course it did. Without maintenance, mower blades go dull, tires wear out, teeth fall out and relationships drift apart. Of course, the most important relationship we will ever have is with our loving God and Maker. Because of God’s plan to send His Son to the cross, through faith, we can all be friends with God. But the relationship requires maintenance. When we accept Jesus as our Savior, that relationship is sealed forever (Eph. 1:13), but the quality of that relationship depends on how well we maintain the relationship. Too many friends of God live without doing the necessary things that keep the relationship focused and fresh. When we mess up, we confess that to our loving, patient and forgiving God and move on. We spend daily time in God’s Word. We intentionally go to God in prayer all day long. We do the things necessary to keep our relationship up to date and valid, not out of obligation, but because we’re at our best when we’re in touch with our loving Father. So, don't forget to keep the maintenance schedule in your important relationships, especially in your walk with Jesus. If you do, you’ll experience true abundant life. Everyone would agree that our children need positive role models. Negative role models seem to flood the media with an attraction that draws many teens. Their deviant behavior is attractive to kids that are looking for justification for their own rebellion. Kids are also looking for positive examples to justify their good behavior. It’s important that we magnify these role models, young and old, famous or not. 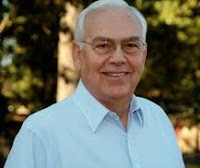 One such man is George Terry, a Branson resident and member of First Baptist Church in Branson. George is a young man in his seventies and has been married to his beautiful wife, Evelyn, for more than fifty years. They have a son Dennis and three grandchildren. George was raised up north and spent twenty five years in Kohler, Wisconsin working in the upper management of Kohler, Inc. In 1987, he and Evelyn moved to Branson where George managed the Stonecroft Conference Center for twelve years. They hosted thousands of church retreats and George ran the program well. When his tenure at Stonecroft ended, he and Evelyn traveled for two years in an RV and did volunteer work with other ministries. 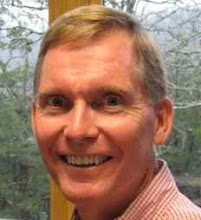 In 2001, George joined the Staff of Branson First Baptist Church where he helped in the daily running of the church and the building of the Life Center. Eventually, he retired (sort of) and continues as a huge advocate of the church. George is an avid NASCAR fan and Green Bay Packers supporter. That’s all about the man on the outside. But men are truly measured by what’s on the inside, in the heart. George is a man of faith, a man of few words, and a man of perseverance. A man of faith. I have had the privilege of getting to pray with George and another friend on Thursday mornings for over ten years. We pray for this friend’s ministry. They say you truly get to know someone when you pray with them. I have seen George’s sincere heart for God and his heart for those who don't know Jesus. A few weeks ago, George had a stent put in his heart and less than a week later, he was leading a teenager to Christ during an event at our church. Amazing. A man of few words. Simply put, when George talks, people listen. He is a man that is “quick to listen and slow to speak.” His wisdom runs deep, after storing up years of knowledge, experience and time with the Lord. John Wayne once said, “A big mouth don't make a big man.” So true with George. A man of perseverance. Plenty of us wake up with a slight headache and we whine about the rest of the day. George has had multiple heart and back surgeries over the last fifteen years. Not once have I ever heard him complain or blame. He instead chooses to acknowledge the grace of God in His gift of years. He still chooses to give God the glory for His healing. George, thank you for your example and for showing us what joy and peace look like above circumstances. Thanks for being such a great role model for me and everyone you encounter. May the Lord bless us with your example for many more years. You are a blessing. OK, get ready for, “Tire buying 101.” First of all, buying tires is not a pleasant experience. It’s necessary, but equivalent to getting a new roof or a crown at the dentist. For a lot of money we seemingly don't get much. Rarely does anyone comment, “Hey, nice new tires” or “Wow, I love your new crown.” But tires are absolutely necessary for the safety of a car. Nothing else matters if what we’re riding on isn't safe. And nothing else matters if we don't have a solid foundation for our lives. Tonight, I’m cheering for LSU against Alabama in basketball. I just heard that four Bama players were suspended indefinitely for breaking team rules. The coach didn't give specifics, but he explained by saying, “Talent is a gift, but character is a choice.” I think that means the players made a poor choice. Foundational issues of life are always a choice. We aren’t born with a foundation. Character is a by-product of what we’re “riding” on. This foundation is stored in the heart and rarely does anyone comment on our heart, but it’s the key to stability in life. A few weeks ago, I went searching for tires. The tread on our car’s tires was wearing thin. I researched the Internet and called several dealers. There are hundreds of variations of tires and it took me a while to narrow down the brand and style. The main issue is price. Tires can be bought anywhere from $50 dollars to $300 a piece. And with tires especially, you “get what you pay for.” Good tires cost more and last longer than less expensive tires. Being people of character comes with a cost too. It’s easier to be selfish and “I” centered. Choosing to have character and faith may be the more difficult choice, but in the end, it brings true peace. So, I drove north to Springfield and had four new tires put on the car. I definitely paid more than I wanted, but they are excellent tires. Good tires last a lot longer, drive better through adverse conditions, and increase the stability of the car. 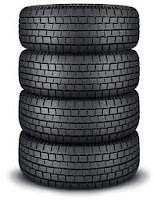 All tires have a “tire rating.” The rating determines how many miles the tire can be expected to last. Good tires might have a 50,000-mile rating while less expensive tires may have a lot less. Simply put, better tires are built better. And people who have solid character are people that last. Good tires have a better tread pattern that allows them to work well in rain and snow. They not only last longer but work better in the midst of the storm. When adversity hits, people of character are able to persevere in the midst of the trial. Better tires are more stable than cheaper tires. The braking distance and cornering ability increase as the quality of the tires increases. People of character exhibit more self-control in their lives. In decision-making and encounters with people, they show wisdom and maturity. Of course, true character only comes through a personal relationship with the God of the Universe, through His Son Jesus. He designed us and created us and there is no better source of peace and stability than walking with God on every journey. We have the ability to walk with God because of the tremendous price paid by Jesus on the Cross. Choose character through faith and you’ll be riding on a true solid foundation, whether anyone notices are not. I could be wrong (I have been a plenty of times), but I’m pretty sure that the medium of television is here to stay. Research points out that the average American home has their TV on for 6 hours and 47 minutes. Some of the programming is healthy and some is not. Shows like Sesame Street and the Andy Griffith Show instill positive values in our kids. Like most electronic devices, TV is a neutral entity. It’s how we allow the medium to affect us that makes the difference. Some parents, convinced that TV is evil, have no televisions in their homes. Perhaps a better idea is to teach kids how to use it in a healthy way. While we were visiting Elizabeth, Mark and our beautiful 20-month old granddaughter Reese a few weeks ago, I took the attached picture of Reese and Gigi (Jeanie) watching Sesame Street together. Sure, it’s just a television show, but more than that it was a small bonding time for them. Notice Reese’s leg on her Gigi. Television time can be healthy family time if we follow a few guidelines. Choose programming carefully. Obviously, there is plenty of inappropriate “trash” shown 24 hours a day on multiple programs. There are shows that support just about every negative moral struggle in our society. But there are also shows that provide historical entertainment and support healthy values of relationships and faith. Even sports are a fun medium to watch along with movies that teach important life lessons. There are lots of choices and it’s important that we teach our kids which shows are appropriate and which are not. Let your kids be in on the choice. I loved my dad dearly, but he ruled the TV in our home growing up. He often would fall asleep on the couch watching a show we didn't prefer. We would practically do an EEG on his brain to make sure he was really asleep and then carefully change the channel to something us boys wanted to watch. But he would always wake up and ask us why we switched the channel. “Dad, you were asleep,” we’d say. With a smile, he’d tell us “I was hearing every word.” Make the choices as a family. Honor your kids by letting them choose the channel. It makes it more fun if the remote is passed around. Use the channel changer. Even choosing the appropriate programs doesn't block out the inappropriate commercials that pop up every 10 minutes or so. With remote in hand, it’s easy to switch to the Weather Channel or another show in progress. Teaching our kids how to monitor and discern is preparing them for the dorm room one day or their own home. Have fun. There is a way to enjoy the time together through engaging conversation and being “with” each other. Sure, in an intense movie it's hard to converse, but during a sporting event use the time to converse and have relax. Enjoying family TV time can be both a fun time together and also a teaching time for the kids to learn how to use the television as a healthy part of life. Six hours of TV a day? That might be a little much. The kids need to be playing outside and reading books. But when the TV is on and Winnie the Pooh is singing, sing along with him. Engage with your kids and have a blast. TV isn't evil in of itself. Teach your kids how to use it wisely. And then they’ll learn the lesson for life.